The Disney parks keep a notoriously tight grip on their props and property whether it is in use or not, so it is somewhat surprising that River Country, the very first Walt Disney World waterpark has been allowed to rot in ruin to this very day. Originally opened in 1976, the hillbilly-themed attraction remained in service all the way until 2001 when it was unceremoniously shut down. During its lifetime, the water park was home to rides like “Whoop ‘n’ Holler Hollow,” which consisted of a pair of slides that emptied out into a lagoon made of filtered lake water, and “Indian Springs,” a location where younger kids could come and play in a set of fountains. The park survived the opening of much larger and newer parks at Disney World, remaining the quaint older statesman to the flashy new attractions. Then 9/11 happened, and Disney’s biz dipped. River Country closed for the winter as it always did, but this time it never reopened. Instead, the flagging success of the old park finally caught up with it and it was left to rot in the Florida sun. 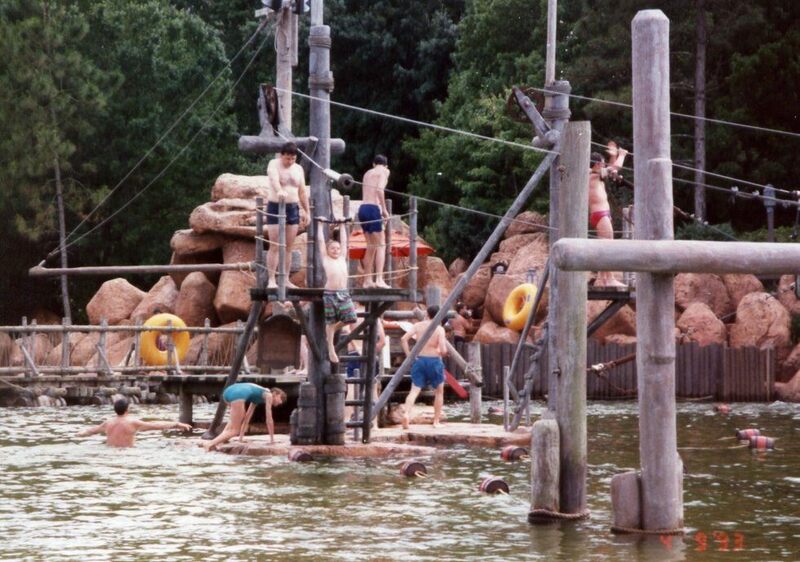 River Country is one of only two Disney parks that have ever permanently closed, joining the ranks of Discovery Island. In more than a decade since its closing, River Country has become an overgrown ruin. The former beaches have disappeared beneath wild grass, while the remaining rides continue to crumble. Urban explorers have taken to finding their way inside, but Disney isn’t very pleased with that practice. Still, it’s not like they’ve torn it down either.